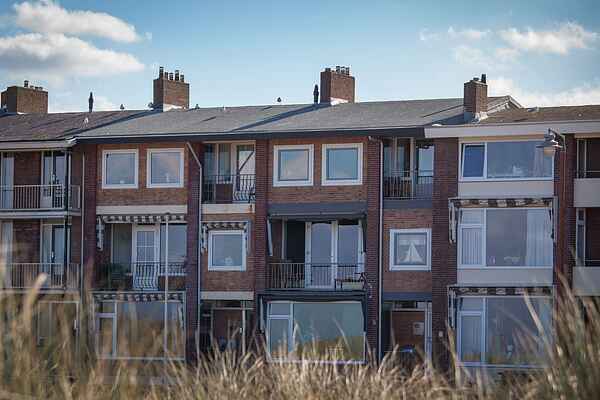 This cozy and charmingly decorated apartment is directly located on the boulevard of Katwijk. From the balcony you have a view across the beautiful North Sea. The apartment is compactly arranged and charmingly decorated. Its the ideal location for beach lovers. From the house, you can walk directly onto the beach. Your apartment is located on the second floor. The kitchen is modest yet fully equipped. To complete the enjoyment, there will be a nice bottle of wine and ten Nespresso cups waiting for you at your arrival. Enjoy the sunset from your balcony in the evening while enjoying a lovely glass of wine - what else does a person need. The beautiful surrounding area is mostly characterized by dunes and the beach. Right behind the house, within a hundred meters distance, lies the charming center with various charming stores. The beach, the sea and the dunes are also at less than 100 meters. Cities such as Noordwijk aan Zee, Leiden and Wassenaar are about 15 minutes away by car. Are you coming with more than four people? If so, book this apartment in combination with the apartment one floor down. Then you'll have an accommodation for six people and you will benefit from a nice discount.